What a great project!! Each one is so pretty! Versatility is right about Coffee Helps set. Thanks for the tip about making Pocket Letters. Wow all of these cards are fantastic! Thanks for showcasing this set with so many examples. I especially like the cork background. Beautiful job! This set has some pretty cups in it. 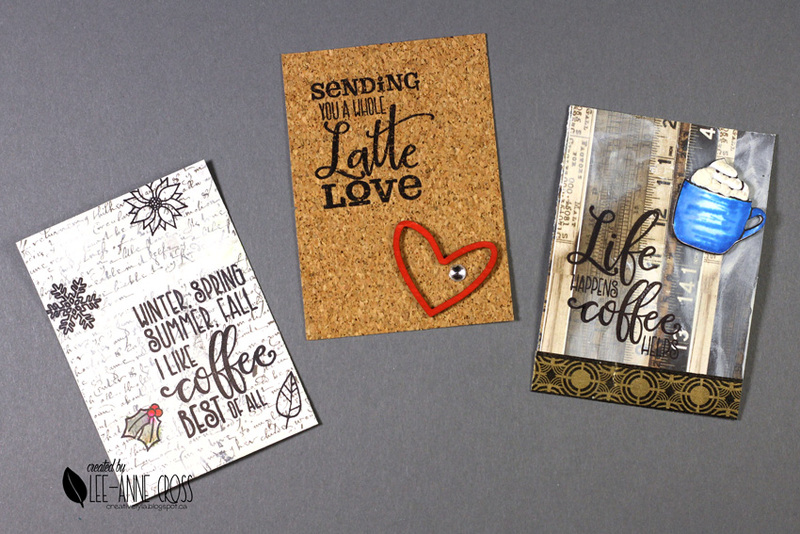 Fun cards, I like the cork. Wow these are all gorgeous! What a wonderful way to showcase this set and show the versatility of it. Wow these are wonderful. Thanks for sharing them. Wowzers! 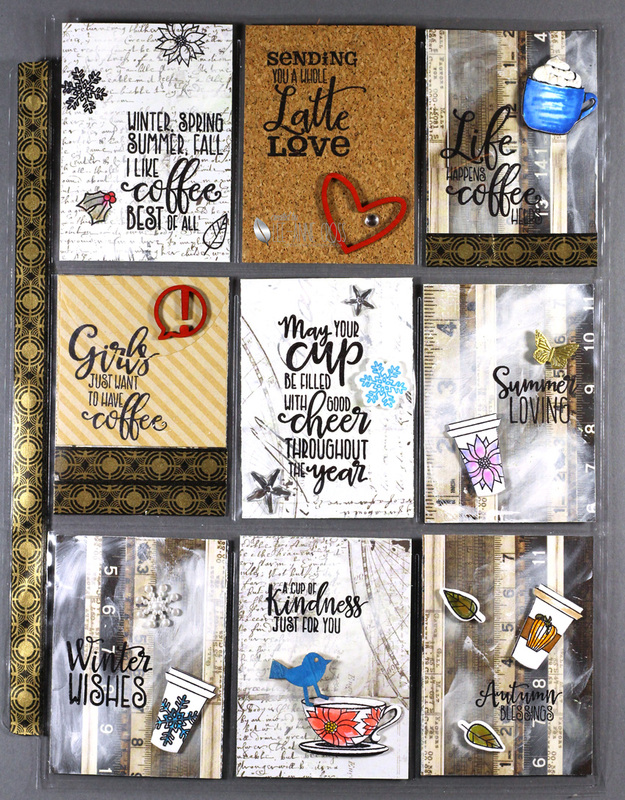 Perfect showing of this beautiful stamp set with your pretty designing! I haven't tried pocket letters yet but yours is inspiring! 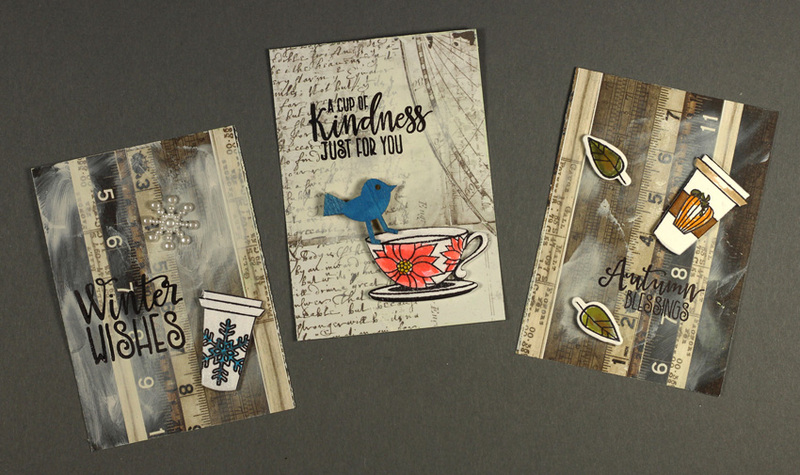 Love the versatility of these stamps and dies. Great job! Wow – so creative! Thanks for the link explaining about pocket letters. 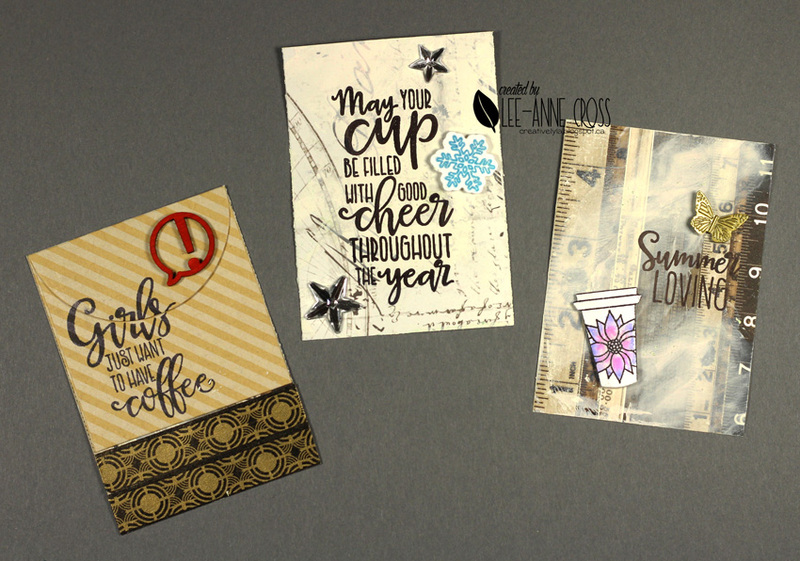 Such a lovely group of cards. A great release! This is cool!! I am not familiar with pocket letters so this is a new concept to me and I love how you really showcased the featured set. I know a lot of coffee lovers who would love this. I love the pops of colors you brought in to each little card. Awesome!